Hi Gerhard. Thanks for your message, sounds good to me. I hope we can find a suitable time to fly together. How many squads are taking part in the campaign, how many pilots in each mission? We're flying SE campaigns saturdays, sundays and tuesdays, euro evenings. The number of pilots differs from the mission, in an attack mission we can have the 13 I stated, but in an defence mission we can only yield 8 ( only fighters ) which will probably all be taken by us from 5./JG27, but there might be spots open just in case people don't turn up. In a defence mission the soviets can only yield 12 aircraft of only 2 different types, so their possibilities are: 3 Yak1s and 9 I-16/I-153 or 2 Mig-3 and 10 I-16/I-153. We can yield 8 109's 4 Stuka and/or 110 and 1 spotter plane. So we already did a good job on destroying their rare modern aircraft so they can only have very little number of them in the future. Viimeksi muokannut Gerhard Homuth, Ke Joulu 22, 2010 02:59. Yhteensä muokattu 1 kertaa. This campaign we fly is hand made by us with intel from both 69th GIAP and us 5./JG27, just a regular co-op campaign. The soviets have invited us to play this totally new for us SEOW campaign which we don't know anything about, we've agreed that when we finish our campaign that we will consider flying a SEOW with them, maybe together with Lentolaivue 34 as well? I certainly look forward to fly SEOW campaign with you. 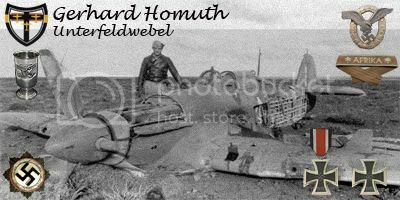 Gerhard Homuth kirjoitti: What I understand from SEOW was that you would control all forces, land sea and air, and your victory will make progress in the war, but there's the thing I don't get, battles are not won by the airforce, they are to make sure they can assist the ground forces and always remain their to assist the ground forces, Or do I totally misunderstood, since I have also never taken part in one. Right, you would control all forces and more. There are victory objectives specific to campaign. For example capture airfield X or town Y before mission 20. Ground forces play a major role since they can capture cities, airfields and so on. However as in real war air force play a major role too since you can bomb bridges, factories (affects on supply), and enemy ground forces. If you get air superiority quicly then your ground attack planes and bombers can work freely on ground targets, which can easily make a decisive difference in the campaign. So in order to win you would need good mission planning (which would require air recoinnance of enemy troop positions), good fighters, and good ground attack pilots. Thus imagine SEOW as pretty complex strategy game with IL-2 as the platform. But first of all SEOW needs pilots. So I hope 5./JG27 and LLv34 can develop good relationships to fight together against the enemy. After that those who are interested to plan and plot strategies, tactics, and missions in SEOW can begin to learn to do that. I think we can together figure out who will do what. So if you don't want to plan things in SEOW or if you need help in planning, worry not, help will be at hand. But as for now, lets fly together So could you please tell the exact time you fly your current campaign? We continue the Ostfront on the 8th of January at 19:00 GMT+1, by then we should all be sober from holidays and might have done some training together already, we always train on Wednesday on 21:00 GMT+1 s and Saturdays at 18:00 GMT+1. These training times are made because we all come from different countries, we got 5 from the US, 4 from the UK someone from Ireland and myself from The Netherlands, with these times we get the most attendance. PS: indeed the cloud of horror I-16s still spreads fear amongst the german lines. Viimeksi muokannut Gerhard Homuth, Ke Joulu 22, 2010 22:36. Yhteensä muokattu 1 kertaa. Gerhard Homuth kirjoitti: We continue the Ostfront on the 8th of January at 7:00 GMT+1, by then we should all be sober from holidays and might have done some training together already, we always train on Wednesday on 21:00 GMT+1 s and Saturdays at 18:00 GMT+1. These training times are made because we all come from different countries, we got 5 from the US, 4 from the UK someone from Ireland and myself from The Netherlands, with these times we get the most attendance. Alright thanks of the information. We have SEOW missions on Wednesday and Saturday on campaigns soon to be ending, but at least some of us will try to come meet and train with you. There is things to be discussed too. So who is planning all the missions (air and ground) for the axis? We do since it's our campaign, our leader Rudolph Farber makes all the missions and all the traffic on the ground, in cooperation with 69th GIAP we will balance the mission and we give them the planes they will be using, but they are limited by the rules we put up, for instance that they can only use 2 fighter types in any mission, so they have to plan it with some strategy. We planned this short campaign to be 5 missions, we still have 3 to go, which 2 of them will be an attack for us. We use mainly TeamSpeak2, but I can work as a liaison officer and come to your Ventrilo server. Did I understand you correctly, that the mission is flown on Saturdays, 7:00 GMT+1, as in early morning? Or do you mean 19:00 ? Whoops, that should be 19:00 GMT+1 , that fitted best for 69th GIAP, since they also have lots of SEOW going on. Yeah sure, you're welcome to drop by at any time in our vent, for the axis side there are little rules from our side, but we stick to basic rules that 69th GIAP insisted we must use. I'll post them up, but they can also be found at their site I believe. We fly with UP 2.01 but HSFX will do fine as well since that is what the Soviets are using.